"Nintendo imbedded Iwata’s game to watch over every unit"
A while back we reported on the news that each and every Switch console has a hidden copy of the NES game Golf inside it, and now we're seeing evidence that would suggest its placement is a tribute to the late Nintendo president Satoru Iwata, who passed away in 2015. Switchbrew has found a way of launching the game, which requires the Joy-Cons to be detached and a hand gesture - not entirely dissimilar to Iwata's famous "Direct" signal - to be performed. Doing this successfully plays a short voice sample of Iwata before launching the game. Before you all go rushing to your consoles to replicate this sequence, it should be noted that the Switch's date must be set to July 11th - the same date on which Iwata passed away. The catch here is that the Switch's time synchronisation is handled server-side, so if you've already connected your console to the internet there is unfortunately no way of fooling it with a bogus date; it apparently needs to be on version 1.0.0, too. Unless you have a factory-sealed console lying around somewhere, it's hard to test this out. 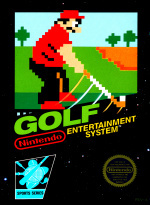 So why NES Golf? Well, Iwata programmed this particular game during his time at HAL Laboratory, so it is of particular significance in that respect. According to Justin Epperson (thanks, Eurogamer) - a producer at localisation firm 8-4 - NES Golf could be seen as an "omamori" - a charm that is usually placed at shrines in Japan and offers spiritual protection. These charms usually remain unopened - as Golf is likely to remain on most Switch consoles as it's seemingly impossible to access unless you're using a brand-new unit. 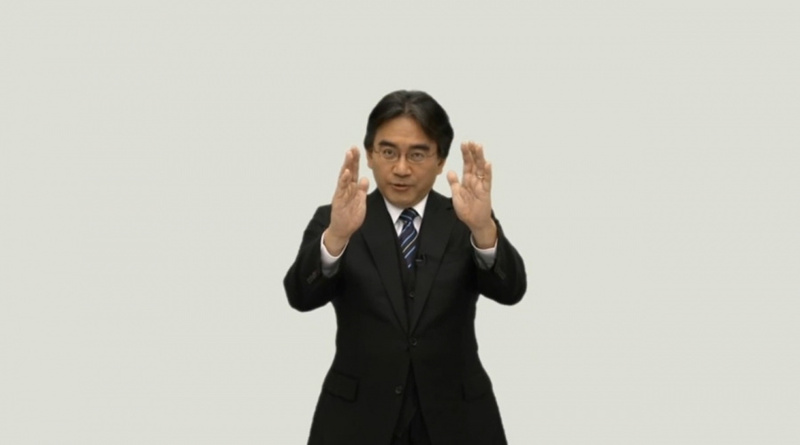 "Nintendo imbedded Iwata’s game to watch over every unit," adds Epperson. Assuming that this is all true - we've no reason to doubt it, but we haven't been able to test it ourselves - this is an incredible gesture by Nintendo and a lovely way of paying tribute to a man who brought so much joy to players all over the globe, as both a developer and the boss of the world's most famous video game company. So incredible cool and touching. Iwata's is immortalized on every Switch ever! This news left the internet and went directly into my heart. Incredible, but what you're essentially saying is it they intend to keep it hidden and locked away and probably won't use it as some sort of special anniversary remembrance thing in a year or two? That may have been what the emulator code was for. What an unbelievable thing to do. I have a new sense of awe and calm knowing that a piece of the late great man's work is hidden away in my Switch. This has made my day. Not many other companies would do such an amazing gesture. @Baker1000 One theory is that like an omamori, this charm will remain hidden inside the Switch but will provide protection to every unit without the user even knowing. This may be one of the sweetest things that a gaming company has ever done to honor someone who has passed. Well done Nintendo, well done. Aww, just got a Switch yesterday. I would have gladly tried it before updating it if I'd known about it. This is so incredibly touching and something only a company, no a family like Nintendo could ever do. If my Switch didn't already have the nickname of my dead pet bird who died last March at the high age of 10, I'd name my Switch Satoru Iwata. You'll always be in our hearts! Perhaps it will be possible to play the game every July 11th? I actually got a bit choked up before clicking on the article, thanks to the blurb. Ugh...the chills...i'm at work and my eyes are swelling up. Iwata brought so much joy into my life when I went through a difficult period in my life. I'm glad we can't all try it, as cool as it is, the Omamori is supposed to remain unopened. At least now we know it's there and THAT is awesome. That's pretty cool and heart-warming. So in theory we can play the game every July 11th as a hommage? Uh, but what if I need those 24kB for my NBA 2K saves? What an adorable, charming gesture from the most consistently charming software and hardware manufacturer of the past 30-plus years. Actual tears. What a lovely tribute to a great man. Rest in peace Iwata. With this, the thanks message in the Pro controller, the embedded message in the NES Mini code, and the hidden breakout game on 3DS, Nintendo are really adding that heartfelt and personal touch. Makes Switch seem even more special to me. And if other companies did do this, they would seek kudos for it. Nintendo didn't mention it, because they actually mean it. It shows true heart and grace. I also agree with others... an Omimori should not be opened or tampered with. That's great and all but . .
Its nice that Iwata was a kind spirit. We haven't seen a movie about a haunted game console yet. This is incredibly touching. Iwata-san will always be missed. This is a tribute that only a true gamer and lover of games could earn. Hearing this was very touching and something that makes the Switch seem a little more special. It's not really a tribute if it's so well hidden and that you need a 1.0.0 version of a Switch and for it to be 11th July to play it. @Jin15 Completely agree, very much an omamori here. They're meant to stay sealed as a charm, much for good fortune and luck. Given how people felt the Switch was another underpowered joke flop and the sales are showing largely otherwise and real third party support seemingly happening, I think it worked. Beautiful gesture and a deserved one given the size of the man. Iwata's passing was such a loss to the creative world; I just hope he can see how well his console is doing from which ever cloud he's resting on. I rate the game an Eagle / 10! They could let us play the game in honour of the great Satoru Iwata. Nah, let's lock it instead. Also, why didn't they pick Balloon Fight instead? Awesome! I've been following this story but was unsure if it was actually true. One thing that I was thinking though... Is it commonplace for people to celebrate the date of death? It doesn't seem appropriate to me. I'd have thought his birthday would have been a better candidate for tribute, but perhaps I'm just over thinking things. I always thought there must be something hidden away in the Switch, similar to the New 3DS' hidden breakout game in the browser. So will you be able to unlock it every July 11th? This story really hit me close to my heart. Nintendo is just such a thoughtful and interesting company. Despite everything, I really think you have to respect them in some way if you love games. @Moon I don't think anyone is celebrating the date of his death though? A tribute is like an act to show how grateful you are to someone or how much you respect them. Death anniversaries can be symbolic as like the symbol of someone entering a new state and their spirit becoming free so it might suggest that Iwata lives on through his Nintendo legacy. @Sinton this is what I was thinking. Maybe we can replicate it every July 11? Remind us next year please. This is adorable. Man, I miss Iwata. July 11th...never connected to the internet...a hand gesture...I was almost thinking "Is it April 1st?" while reading this. But this is a really neat tribute. I wonder if Nintendo is planning on making it playable every July 11th or if they intend to just keep it there untouched. Does anyone know what Iwata says when the game is launched? @ReshiramZekrom Sounds like success to me. Very cool. Although it's a bit of a shame that most people won't actually be able to play the game. @Moon That stuck me as a little queer too. But I'm looking at it from a western perspective. Eastern cultures certainty seem to have a much more accepting approach to death than the west do. That is really neat. The part about making the "Direct" hand motion me. Although I wonder if Nintendo ever plans to unlock it as an actual tribute as we already had a July 11th go by with the Switch on the market. Regardless, this was really, really special to read. If that's the real reason that's one of the sweetest gestures I've seen. I love finding out about little tidbits like this. A very touching read, and certainly shows that Nintendo is a fantastic company. @Henmii Looks like according to the article you also have to be on version 1.0.0 so you have to have done no updates and have that date, so it won't work on just that date unless they patch a change to it in the future to make it that way. Incredibly thoughtful. You rarely hear a business doing things like this with their products. It shows you just how much love and respect there was for that man at Nintendo. Very touching though I wish it was EarthBound: Beginnings instead (a better game to honor Iwata). It's incredible they went through SO much lengths to put this in there, to make it specifically on the anniversary, and require the "DIRECT" hand gesture (I love that Ishihara still does it, and that they've converted it into a "click" gesture for the Switch era, which I'm certain Iwata himself would have done...though I do miss the use of his "DIRECT" gesture). It's a shame they locked it away on later firmware....omimori or not it was clearly meant to be accessible on the anniversary....I wonder why they removed that possibility. Maybe it introduced a security vulnerability when available. a great gesture that could be greater by letting me play the game. This just in loser wants attention, so he says something negative every time. This reads like an April Fool's prank. Isn’t gaming a cool hobby or what? May you live forever in our Switches & our hearts, Mr. Iwata. The turd In the punch bowl appears. What a miserable person you are. It’s clearly a tribute, but you must crap all over it anyways. I love this. Love how secret it is and how hard it is to access just like a lot of secrets in Nintendo games themselves. Lovely tribute, well done Nintendo and RIP Iwata. @Agent721 Cop on with your insults. It's not very accessible, most people have updated their Switch. Even the author of this story couldn't access it. I'm not insulting Iwata. I'm just saying most people can't play this or will be able to play it. Nintendo don't like giving stuff away for free. Even 20+ year old NES games. This is incredible, and there's one more interesting thing to note. HAL programmed the Switch OS, did they not? And HAL his where Iwata got his start in the industry. Some of the people who made the OS and put this in it may have been some of the first people to know and work alongside Iwata, and knowing that just makes this tribute feel all the more personable. Wow, what a way to honor Iwata. Impressive Nintendo, impressive. @SLIGEACH_EIRE Which is why it's being called (and likely is thought of by Nintendo) as an omamori. You get an offering, seal it up, offer it as intended and it's never touched again. That fits the MO there of Golf. It has nothing to do with Nintendo and their tight fisted game selling tactics as this wasn't even meant for retail from the looks of it — just a memoriam to their dead boss. He's snarking on you because you're being crass about something that doesn't deserve it. @SLIGEACH_EIRE It's not supposed to be played, dude. Or even opened. Did you not understand the point of it being there? I will say that Iwata-denka left us with one heck of a parting gift. The majority of the overhead for the switch was done on his watch and it is an amazing piece of hardware. The things that kind, hard working people get done is always fantastic, even in failure because they still honestly cared and put in the effort (wiiu is still my favorite console). As always thank you Iwata-denka for all you have done, RIP. Huh. My Switch is still on 1.0.0, never connected to the internet cause I only have a few single player cartridge games (money is hard). Gonna try this when I get home. I don't think there's any denying this is a tribute to the man... And I think it's wonderful. @MariOnline Ah! I see. Fair enough. Like a lot of others, I think there's a lot of value to this as something that will never be played or 'opened'. A really charming dedication. Is it TRULY only accessible on 1.0.0? ...or is that just CURRENTLY the case because it's the only version where the time can be tricked to be tested? I can't help but suspect when July 11 comes again, we may very well all be able to access it regardless of the version... Then again, maybe not, since you'd think someone would have stumbled upon this back on July 11 otherwise. @SLIGEACH_EIRE I don't think you understand what "tribute" means. "The catch here is that the Switch's time synchronisation is handled server-side, so if you've already connected your console to the internet there is unfortunately no way of fooling it with a bogus date"
You know you can go into the settings and disable server time synchronization in order to manually set your own time whenever you want, right? @SLIGEACH_EIRE I'm not sure that's what that actually means... 1.0.0 seems like it could just be the only version where it's possible to fool the clock. It's quite likely it can still be accessed on other versions as long as it's really July 11. We likely won't know for sure until July 11 comes around again. @XerBlade That doesn't mean the method will still work after doing so though... It currently appears to be the case that it doesn't. Touching, if not overly-secretive, tribute. @thatawesomedude I know. After all, there is still apparently the issue of needing to be on 1.0.0. However, I have seen literally every article about this on every site reporting that it is not possible to manually set the time on the Switch after it has been connected to the internet for the first time, and that is simply not true. "**These charms usually remain unopened**"
@thatawesomedude If it ever goes online it sync's the time server side (as said in article). Date & time can't be changed manually ever again. 1.0.0 may be the exception, but article isn't clear on that. Even waiting for July 11th on system's greater than 1.0.0 may not do it. @XerBlade Ahh... Ok, I know now! @XerBlade There still doesn't seem to be any concrete evidence that 1.0.0 isn't simply the only version where the clock can be fooled-- waiting for the next July 11th could prove it still accessible on later versions-- only time will tell for sure. Also, you seem to be confusing the ablity to set your own displayed date and time without the server's time changing it to match, with the system itself ceasing to recognize the server's time at all. If that were the case, you'd likely be able to trick the system to play any preloaded title from the eShop before the release date. Nintendo's craftier than that. The DISPLAYED date & time can be manually changed in all versions. That's what XerBlade was referring to. What the article seems to be confirming is that the system still recognizes and remembers the sync time from the server permanently. That is a really awesome gesture to the man. He obviously was a major factor in designing the Switch and Nintendo is trying to say thank you in there own way. Like someone said before the fact that this was not advertised by Nintendo and was only found by some people that have way to much time on there hands shows that this is truly sincere. Thank you Satoru Iwata for helping create what is quickly becoming possibly my favorite video game console of all time. @thatawesomedude I was acknowledging that in my follow up comment! Part of me wishes this wasn't discovered until YEARS from now, but of course we do now live in a world where everything is expose instantaneously... somewhat bittersweet, but this was a pretty cool thing. Wow this is why I love playing Nintendo games. RIP Iwatasan. This makes me proud to be a Nintendo fan. You'll be missed Iwata, but your legacy lives on. I guess you are right. It will stay locked for eternity, wich is right I guess. Wish we could play it in his honor... Sure it's not the most advanced or best golf game, but it's still a good relaxing game that requires planning, strategy, and good reflexes. @ledreppe With all due respect, you really weren't... You essentially just paraphrased what the article said, which didn't acknowledge the fact that the DISPLAYED time could still be changed manually. So many people seem to be automatically accepting it to be an "omamori", but so far that's just what some Japanese gamers are speculating. It's very likely it was indeed meant to be played, and will be . Even 1.0.0 no longer works once it's initially synched, suggesting that's not the version, just the date.